There is a gap between our current situation and our desired state. This is true for me, it's true for you, and it's true for every customer. Sometimes the gaps are big; sometimes they're small. Sometimes they are macro-level (I want to be successful in life); sometimes they're micro (I want a better time-tracking system at work). But they are everywhere, and they hold the key to developing a sales strategy that works today. So argues best-selling author and sales consultant Keenan in his latest book, Gap Selling, out this week. Three years ago, Keenan published Not Taught: What It Takes to be Successful in the 21st Century that Nobody’s Teaching You, in which he laid out a new formula for selling success in the modern era. The veteran sales pro describes his role at A Sales Guy Inc. as CEO and Chief Antagonist, and that latter title is befitting of his provocative writing tone. He forcefully asserts. He curses. He addresses important topics with a level of candor and frankness that many will find refreshing. Keenan’s “in your face” style is fully on display in his latest work, as is his natural salesman disposition. There’s a lot of “You will learn X in this book” buildup, especially early on, but these are far from empty promises. For salespeople rooted in the traditional mindset, Gap Selling will prove enlightening and maybe even profound. For those who already adhere to modern practices, and read blogs like this one regularly, much of it is familiar ground. Still, Keenan covers it in unique and entertaining ways while offering his own distinct perspective on problem-centric selling. The idea that modern selling is a matter of solving problems for your customers isn’t novel. That’s a mindset that many of us carry. But Keenan’s central argument in his new book is that these gaps are often hidden, even from customers themselves. This is where Keenan’s methodology really focuses: working with customers to help them recognize their true gaps, and using these revelations to propel deals forward. Gap Selling is divided into four parts: Know the Game, How to Play, Gap Prospecting, and Building a Gap-Selling Team. Through this journey, Keenan lays out the various components of operationalizing his methods. You’ll never have more knowledge of the individual and their company than they do. But if you comprehensively do your homework — perusing their LinkedIn page, scrolling through their social feeds, seeking out company mentions in the news — you might be able to provide a helpful outside perspective, pointing them to problem points they have overlooked. Our recently released guide, Get Closer to Your Prospects, features a ton of advice for better understanding your target accounts. 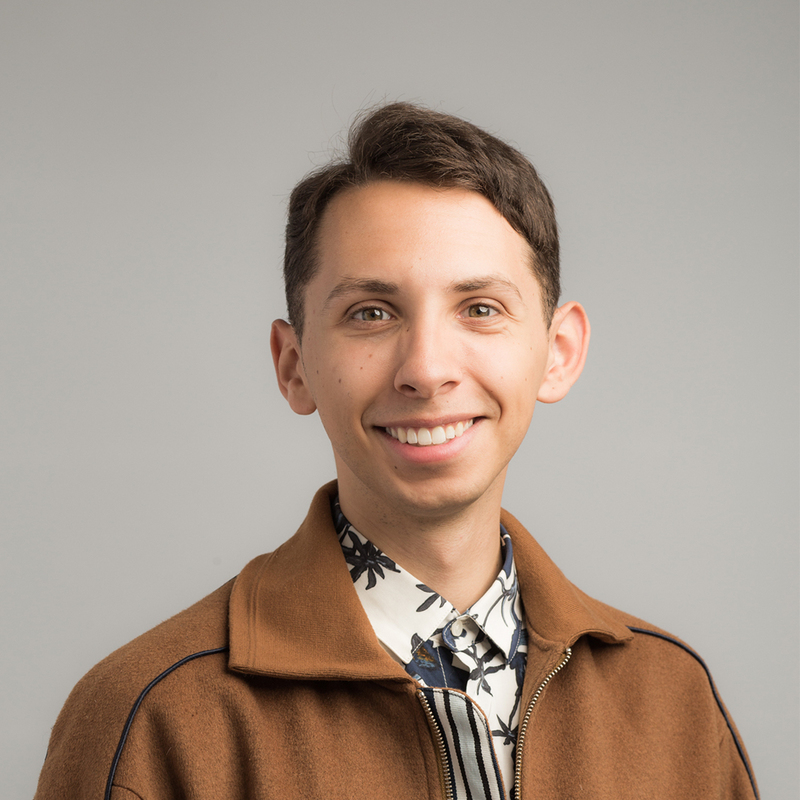 Last month, David Brock published a great post on the Partners in Excellence Blog titled In Praise of Pushy Salespeople. He wasn’t arguing that we should be pushing our solutions on people or pressuring them to buy from us, but rather that we shouldn’t shy away from an assertive approach to problem-solving. It’s always easier to make your case when you can back it up with an empathetic example. Was there a past instance where you helped a customer find and address their gap under similar circumstances? This can be very powerful and persuasive. 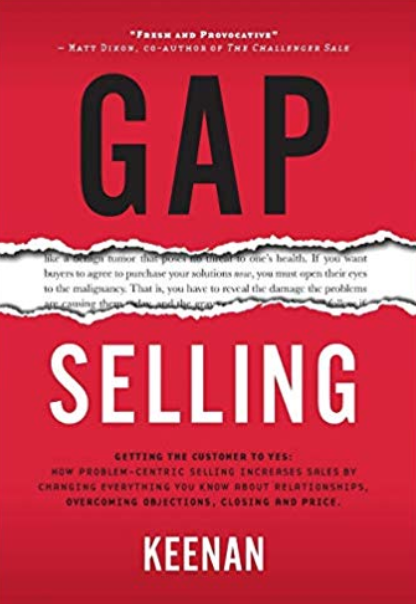 If you want to learn all about gap selling and how to integrate with your team’s selling approach, I recommend grabbing a copy of Keenan’s book, which makes for a great read over the holiday break. And if you want to stay in tune with all of the best methods for selling effectively in 2019 and beyond, I encourage you to subscribe to the LinkedIn Sales Blog so you never miss out on the latest big deal in B2B sales.